Comments: Good condition with minor shelf wear. Unread copy. Never opened and text is like-new. 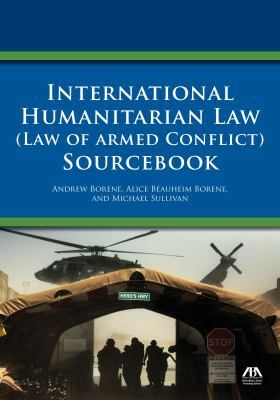 Borene, Alice Beauheim is the author of 'International Humanitarian Law (Law of Armed Conflict) Sourcebook', published 2014 under ISBN 9781627225137 and ISBN 1627225137. Loading marketplace prices 1008 copies from $59.68 How does the rental process work?